Live in Everett TV #106 ðŸ“º: Snow Day! Sign up to receive our Weekly Goodness newsletter every Monday. 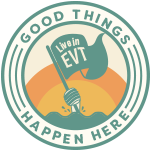 Itâ€™s full of events, news and other good things happening around Everett. We respect your privacy and wonâ€™t spam you.